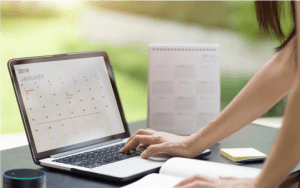 To help you manage your schedule, keep track of your to-do lists, or set reminders – configure your device to integrate with your calendar and automatically dial into conference calls or even have your PDA make phone calls for you. Activate Bluetooth and personalize your PDA to quickly find the information you need all by using voice commands. It’s simple and easy — let us show you how using your voice can unlock the possibilities. With voice commands you have the ability to set-up conference rooms and control room settings like temperature and lighting all by using simple voice commands. You’re the one in control — there’s no need for remotes or manually looking for conference call info – once implemented you simply walk into the room and say “Computer, start my meeting” and the PDA gets your meeting started right away…it’s easy, quick and always hands-free. Build your own custom skills and easily “voice-enable” your applications, products and services. 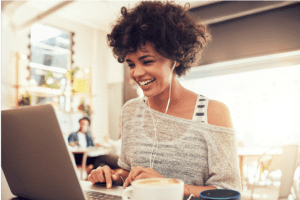 Imagine as a small business owner being able to find an open meeting room, order new supplies for your copier or simply make lunch reservations to celebrate a new win all by adding VOICE as a workplace solution. Imagine if the hotel you were staying at had “Smart Assistant” capabilities…you could easily use your VOICE to order room service, schedule your room to be cleaned and stocked, or maybe you just need to have your car brought to valet. 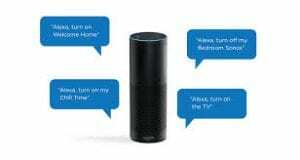 Companies are even using VOICE to retrieve inventory levels and receive deal status from their CRMs. All of this is possible when you work with eXperts at BizCloud, our certified AWS architects have proven skills helping organizations reach more by adding VOICE to their workplace solutions. The objective for this service is to customize and create Smart Office Solutions for small business owners in the Dallas-Fort Worth area. *Remote support and maintenance, Break/Fix. Onsite support not included – can be added on a per incident basis. Enhanced support including remote support and maintenance, break/fix. Onsite support not included, but can be added on a per incident basis. Pricing is based on customized skill building and integrations. Solutions are tailored and based on business requirements, scope, devices, integrations and skill development needs. Looking for an AWS partner that can help you develop additional skills to improve your office productivity or business functions? Our Certified Architects and Engineers will guide you through a life-cycle of activities in building and enabling new voice skills. 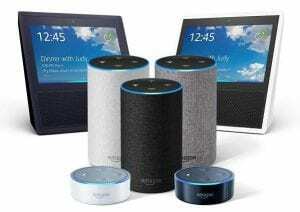 Want your skill certified for the Alexa Store? Let our eXperts help you get it done. Price for building new skills starts at $250.00 per skill. All skill development is a priced as custom development using agile development methodologies.